"President Bush is scheduled to undergo a colonoscopy tomorrow, meaning that Vice President Cheney will be standing in while the commander in chief has what the White House describes as a routine procedure. AP says the procedure will be performed at Camp David. Back in 2002, Bush was out for about 2 1/2 hours during a similar exam, according to press secretary Tony Snow." Good luck Mr. President and get Mr. Cheney into a bomb shelter because if anything happens to President Bush or President Cheney (give him his two hours), Nancy Pelosi is next in line for the presidency and that is the real nightmare. 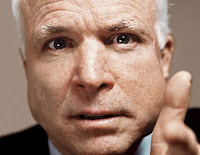 It's time John McCain take a powder and drop his pursuit of the presidency. If he were to back out and put his energy and connections behind the top republican who will be in the race by the end of the summer (Romney and Thompson), he have a lot less stress and enjoy a lot more popularity. His position on immigration may have been right, or my have been wrong, but associating himself with extreme liberal democrats and such an unpopular president were political suicide. You may say "well he's a man of conviction." Fine - he'll remain a senator with his convictions and will never be able to display such convictions as POTUS. Someone in his campaign screwed up and should have been giving him better counsel. The fact is the immigration bill was so full of holes that to stake a presidential candidacy on it was a telling lack of judgement. Iraq - same situation - it's such a hot topic that a more moderate position is called for if your running to take the job of the current commander and chief. This is a pretty easy decision for McCain... just not pleasant. The campaign is in debt and and cash flow is tight. It would make sense for him to pay the bills he's got and walk away with a cool million for later political use. He'll get all the attention he's getting now and more from the media. Best of all, every republican and some democrats will come courting and he'll be back on top of the world. Let it go Mr. McCain and get behind Romney and Thompson early... don't play games with the dems or think independent. "Listen to me now and believe me later!" "Listen to me now and believe me later, you get the weeds out of that garden or you'll be grounded for the rest of the summer!" I recently used this one to try and get my boys to clean up before the July 4th party we recently had. It didn't work... right away, but the believe me later finally kicked in this week after a few "play dates" were vetoed. The garden is now weed free - oh yeah. Listen to me now and believe me later - this phrase works! I love whipping this out when people haven't heard it before. By the time they "get it" you've already delivered the second part of the statement (the point) and your target audience will already be agreeing with you. Recently I made a comment about John McCain's presidential campaign and the fact that he doesn't stand a chance to win the republican nomination considering his stance on Iraq and his support of the failed immigration bill. Well try this with your friends, business associates and especially at home with the children. I guarantee the first time you lay this on the kiddies their jaws will drop, they will look very puzzled and the first words out of their mouth will be "what did you just say?" What’s the connection between Chris Matthews and Al Sharpton? 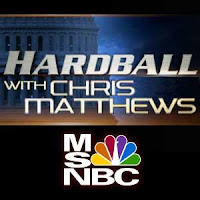 Aside from both being extremely religious… Sharpton hosted Matthew’s program "Hardball" this week and if anything solidifies the fact that Matthews is an extremely liberal democrat, picking Sharpton to host his show is it. Here’s a review of the program: The “reverend” interviewed two liberal hacks, Howard Dean and Terry McAuliffe. Dean was flashing his famous “Joker” grin and telling “his holiness” how wonderful it is to be alive and be a democrat. McAuliffe brushed off Al’s concern over the fact that Mr. Obama raised 10 million more dollars in the second quarter than Ms. Clinton. Terry said no big deal, Hillary has enough money to win the primaries and the general election – it’s good to have money. Next up, republican powerhouse candidate… Duncan Hunter. Mr. Hunter actually had good things to say, but what did Al want to talk about? Ann Coulter. Ann likes Duncan Hunter and instead of hearing Mr. Hunter's views Sharpton wanted to get the gossip. Following Duncan Hunter was Chris Dodd, another presidential candidate and a democrat. Mr. Dodd makes sense and speaks very logically and forcefully about his position on Iraq. His position? Leave very quickly. Something I’ve called for the last 16 months. If the rest of Mr. Dodd’s colleagues could articulate their points without engaging in the “politics of hate,” they might be leading instead of destroying this country. If Matthews was on vacation he couldn’t stand to be left out of limelight. 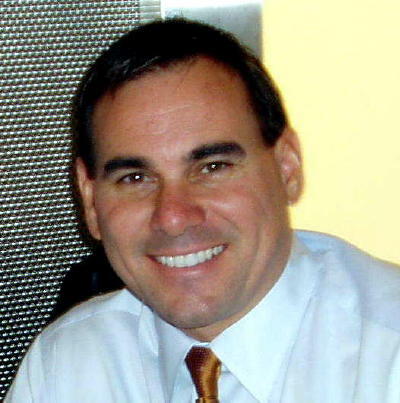 At the end of this evening’s program the news broke regarding President Bush commuting the prison sentence of Scooter Libby… and Matthews was on the beach somewhere – he must have crapped his pants. He was back the next night and Reverend Al was given the hook. Good thing too, Sharpton was staring so intently at the teleprompter up close like that was freaky.